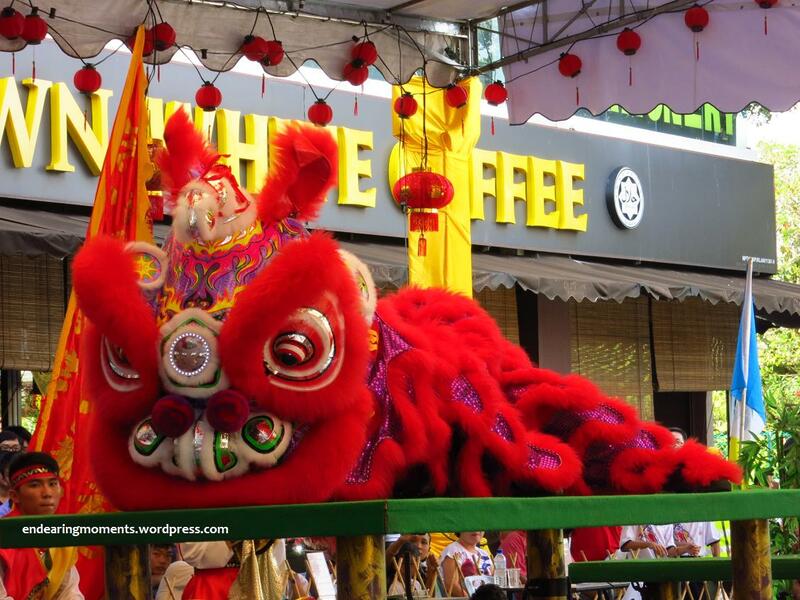 Lion dance ( 舞獅; wǔshī) is a form of traditional dance in Chinese culture, in which performers mimic a lion’s movements in a lion costume. 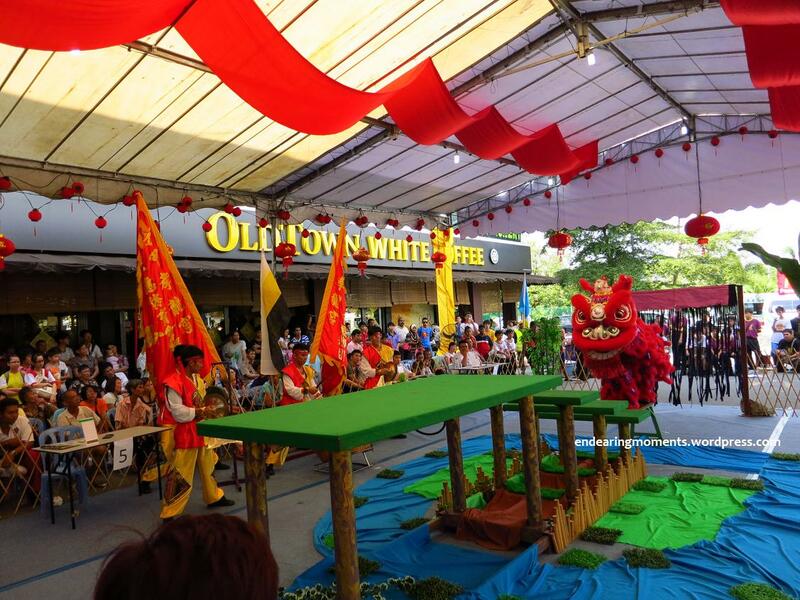 Great efforts and and initiatives by the Chinese community are required to create conducive platforms to develop new lion dance experts, train young performers and build lion dance fans. 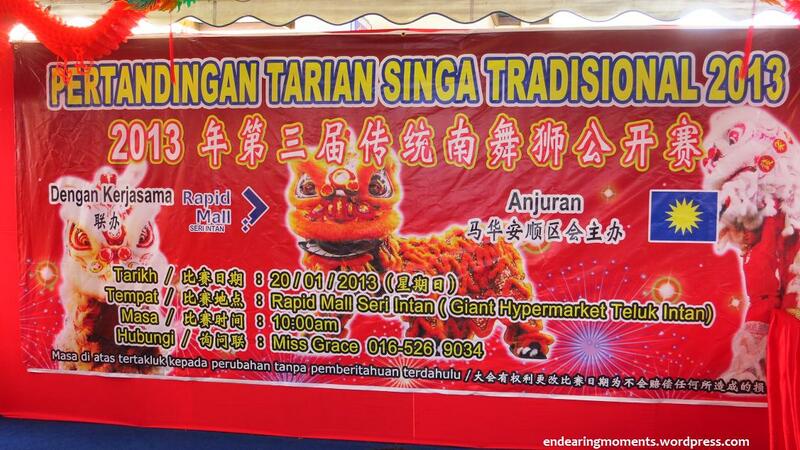 Furthermore,High stilts Lion Dance performance is now listed as a cultural heritage in Malaysia.That’s a colossal achievement,don’t you think? 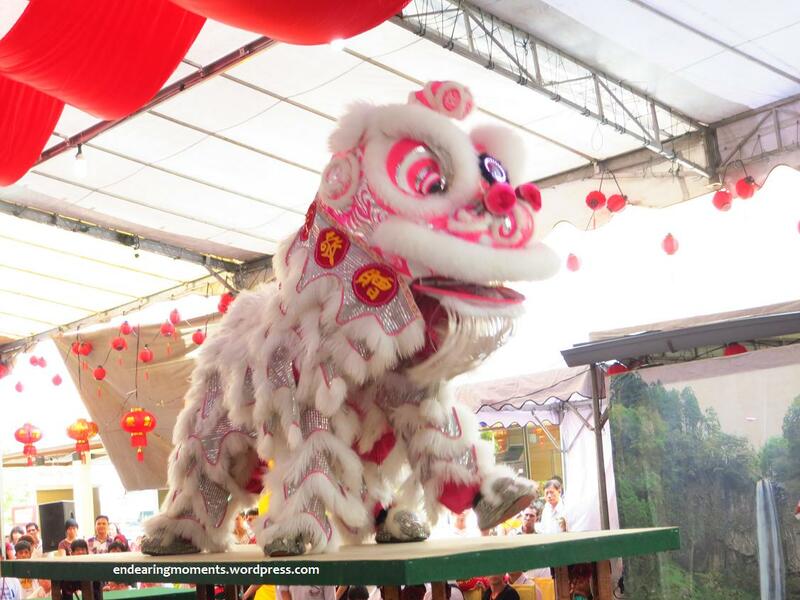 From my own experience,the lion dance was one of the most memorable moments during my childhood years of Chinese New Year celebrations.The lions would enter with much blast and glam while the drums roar through the sky. There would be firecrackers crackling loudly and everyone would be so in awe of the performance. 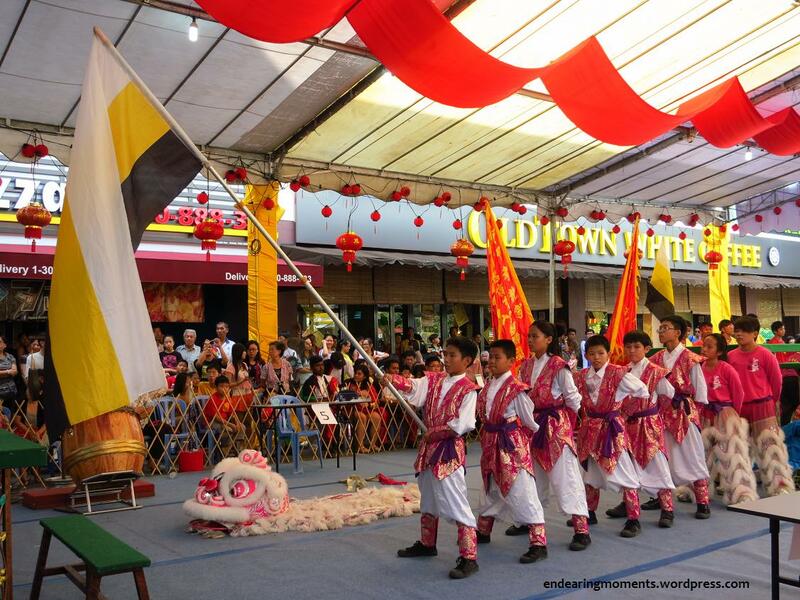 One of the initiatives done by our local Chinese community MCA, Teluk Intan, in conjuction with the Rapid Mall Setia Intan is the National Traditional Lion Dance Competition(Secondary school level). 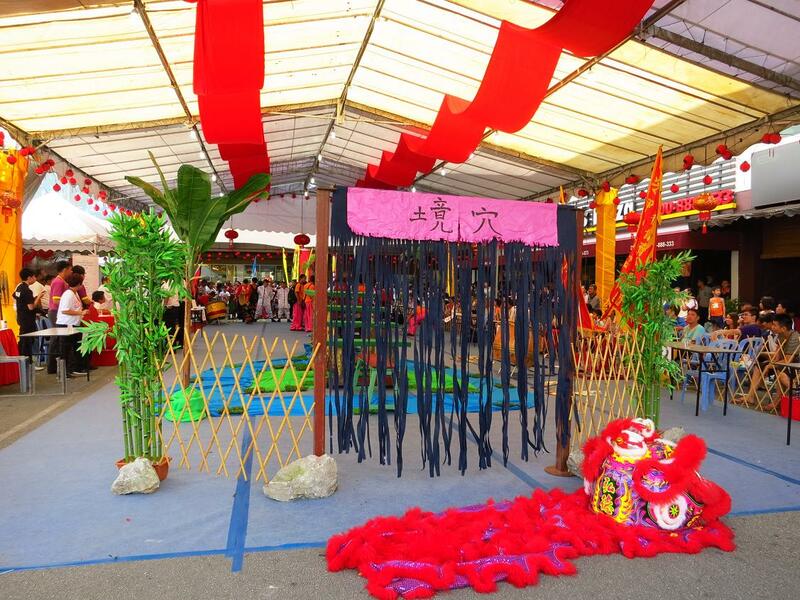 This year, it was held in Teluk Intan. Being a small town, it was a pleasure to have an event of such a scale to be held here. 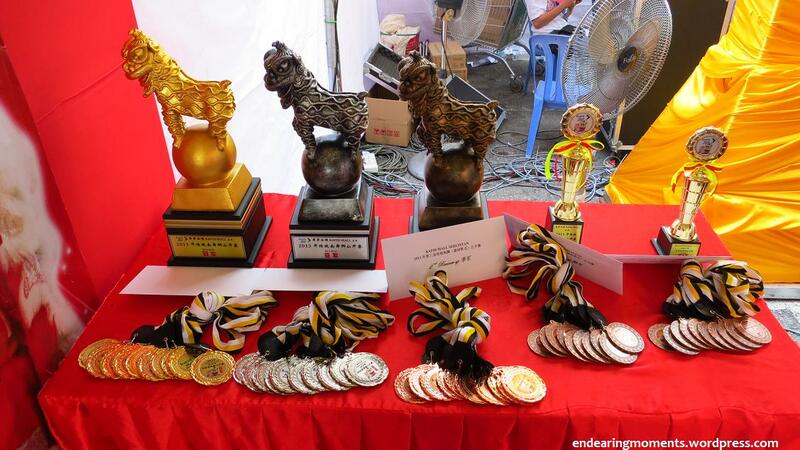 Attractive prizes were prepared to encourage participation of younger generations to master the skill of lion dance and pass it on to our future generations to ensure continuity of our culture. The preparation behind the scenes. They are secondary school students from SMJK San Min, Teluk Intan, consisting of both female and male. While the crowd are enjoying the show on stage, the next team are busy preparing for their turn. Cooperation among the team members is one of the important ingredient for success. The ‘seniors’ guiding and helping the ‘juniors’ during the preparations. The whole set up of the scene for the competition. Every team has a different set up. This is the set up for the team representing Penang. It requires good coordination of the drum players and the two dancers. 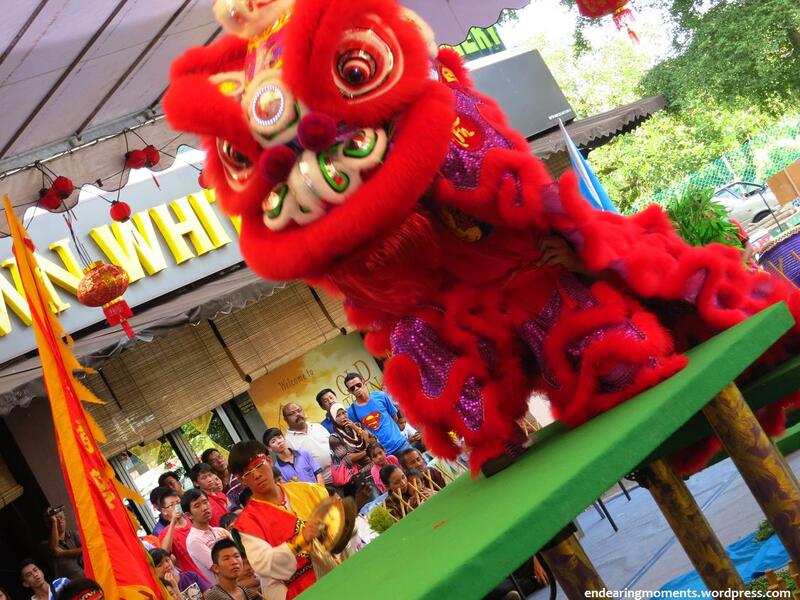 During the early days, Lion Dance was performed as a skill part of martial arts of Wushu. Nowadays, it has evolved to be a mixture of artistic and skills combined. It takes into account the lion’s expression and the natural movements besides the acrobatic styles and skills during performances. 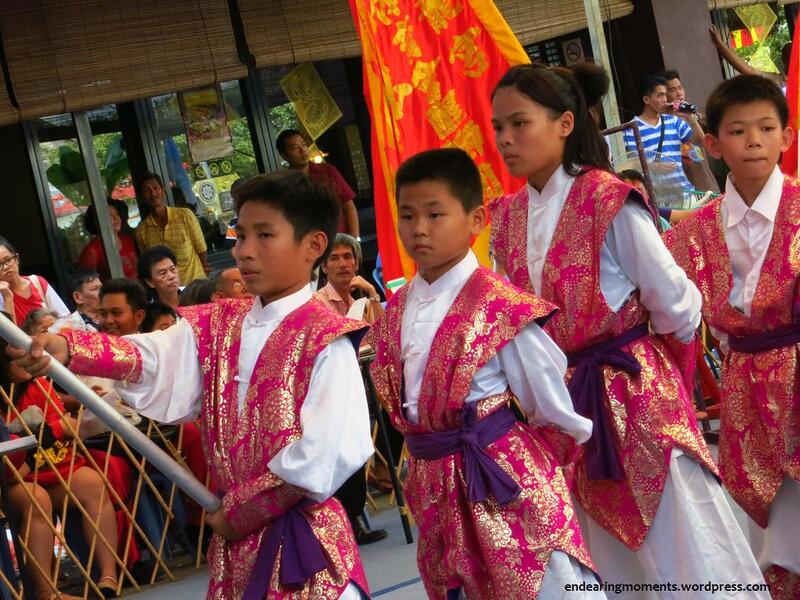 Whether it is performed as a cultural performances or as a stunt during competitions, these are the criteria observed. 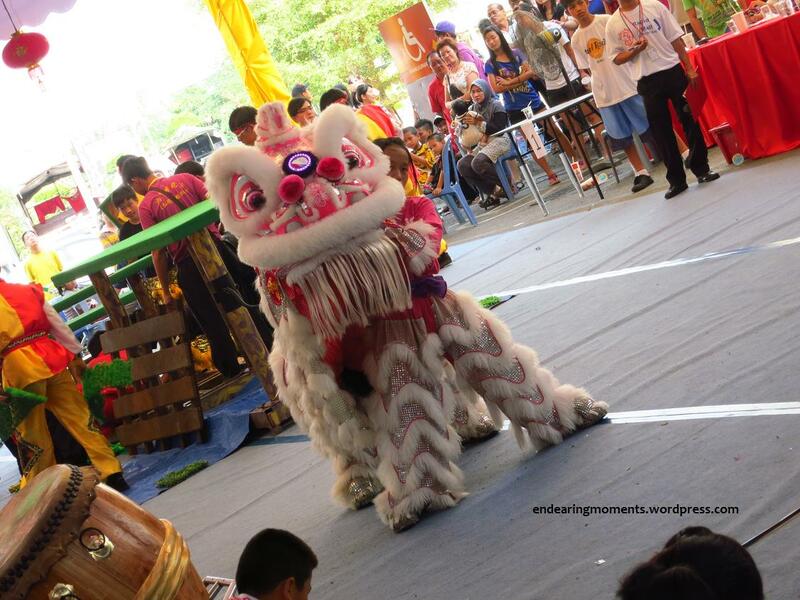 For good points, the lion must be able to portray good expressions and emotions to the audiences. The movements and the facial expressions must match the drum beats, together with skillful, accurate and elegant footsteps. The next troupe is from Teluk Intan, representing Perak. A good mixture of boys and girls trained in this area shows there is no discrimination between boys and girls. 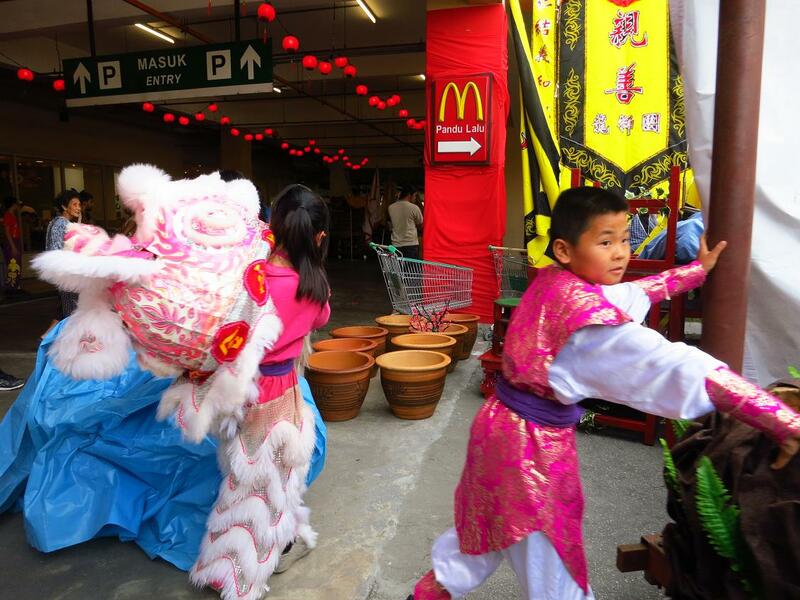 To be in a lion dance troupe, it requires diligence, discipline and patience. Although this group of students are still young, but they are very well trained. Faces of confidence and seriousness. 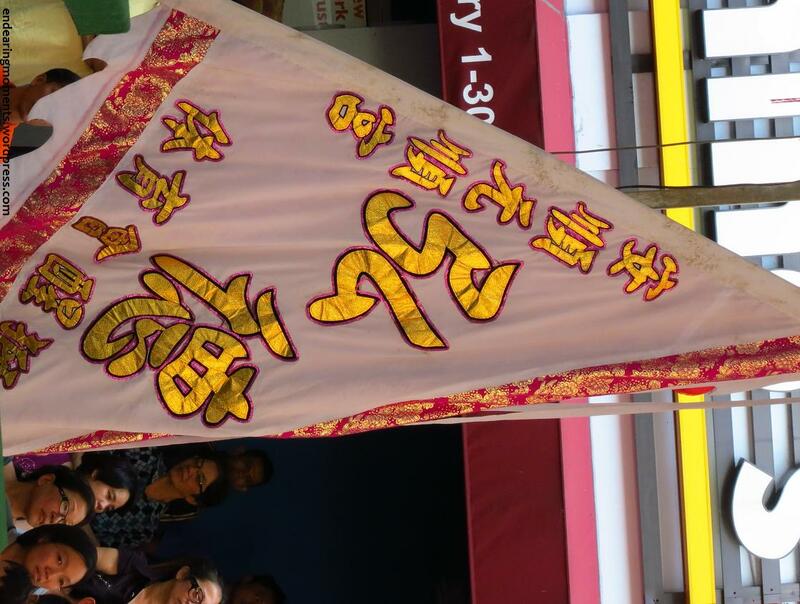 Flag to represent the troupe they are in. 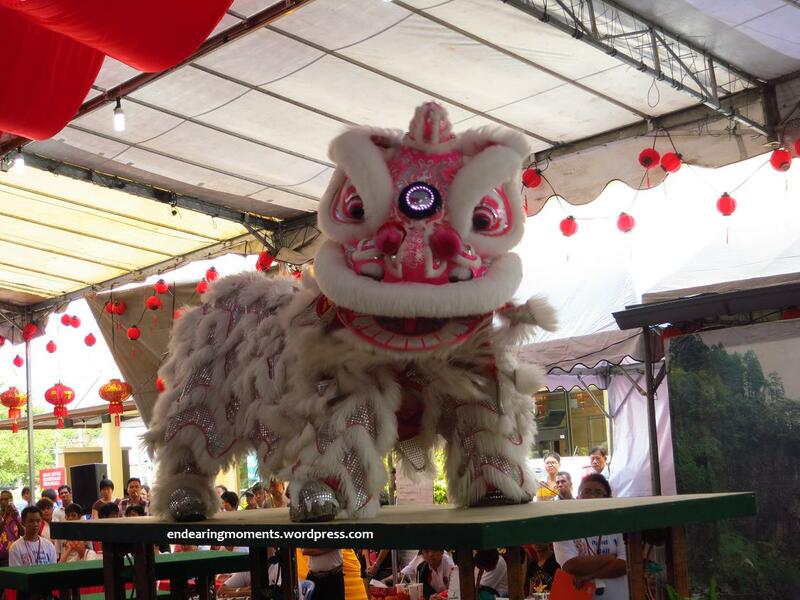 This is from the Hoong Tuck Lion Dance Association, Teluk Intan, Perak. The lion is operated by two person, one holding the head of the lion, while the other acts as the body and tail of the lion. 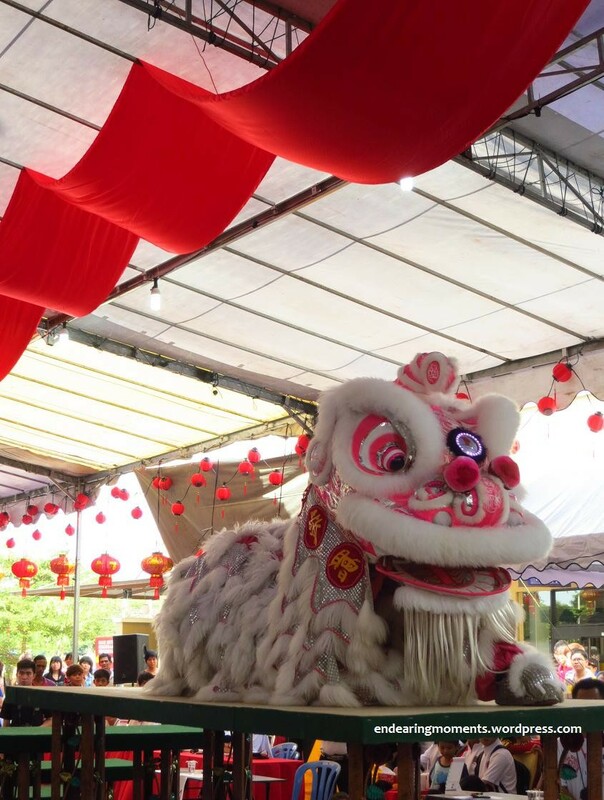 In a lion dance, the performers’ faces are covered. The “lion” as graceful and playful as a cat.Blinking its eyes,wagging its tail,energetic twists of its body are evidence of the skill of those who are “dancing” it. 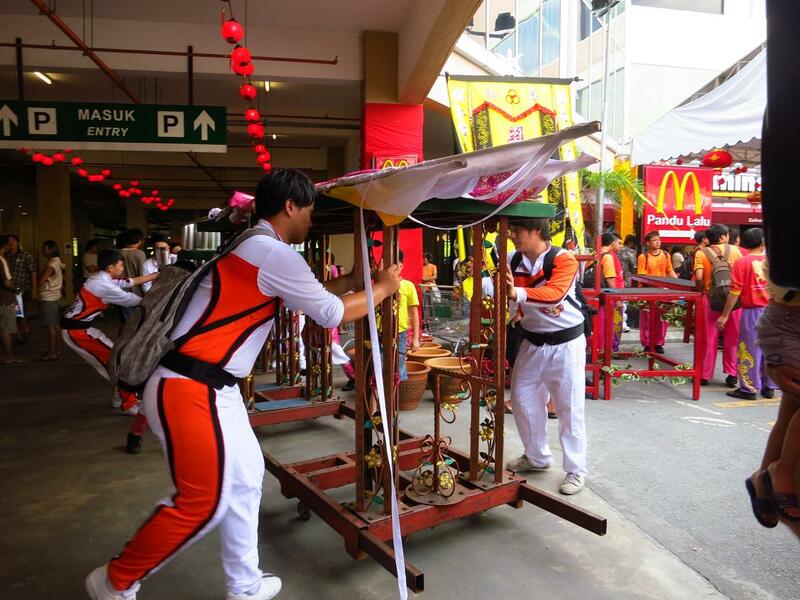 The modern form of lion dances and the new lion dances on the stilts competition are based on the best skilled and most lively ‘lion’ coupled with the most creative stunts, choreographed moves, acrobatics difficulties and heart throbbing rhythmic and pulsating live instruments music to captivate spectators and the judges in the competition. The neon light in the middle of the head is a variation of the traditional lion’s costume. It was a trip down memory lane and also a new exciting experience for all who were there.Everyone were mesmerized by the outstanding performances of the contestants. We salute the young contestants for their endurance and hard-work in keeping such a wonderful culture alive and vivid.We respect the coaches for instilling and imparting their knowledge and wisdom in the traditional dance into a new generation.We are in awe and admiration of the inteliigence and innovativeness of our forefathers for inventing such a wonderful cultural legacy. But most of all,we hope you could be infected with our zest for culture,art,and LIFE !